But the mental clarity of the vaporizer high compared to highs from burning cannabis cannot only be explained by the absence of some toxins. A cannabis plant contains more than 80 cannabinoids. It also contains more than 200 terpenes and dozens of flavonoids, which are responsible not only for the distinct aroma of a strain, but are now also known to have an important influence on the high. If we want to better understand the character of vaporizer highs, we first need to take a look at the different boiling points of the relevant cannabinoids, terpenes and flavonoids. Let us look at the cannabinoids first. THC (delta-9-tetrahydrocannabinol), which is said to give you a more heady, cerebral, energetic high, boils at 314.6 ºF. CBN (cannabinol, an oxidation breakdown product) which is known to be sedative and to generate a more confusing, disorienting high, boils at 365 ºF. CBD (cannabidiol), now becoming more and more renowned for its medicinal value for various purposes (anxiolytic, analgesic, antipsychotic, antispasmotic, etc.) boils between 320-356 ºF . The cannabinoid THCV (tetrahydrocannabivarin), which is known to act as a euphoriant as well as being analgesic, boils at 428 ºF. For the sake of brevity I’ll leave it at this short list; but there are other cannabinoids that we know have an influence on the high. The boiling points of terpenoids (when dried and cured, terpenes turn into terpenoids) are also distributed over a whole range of temperatures. Myrcene, the most prevalent terpene found in today’s marijuana has clove-like, earthy, citrus, mango and minty nuances , boils between 331-334 ºF and is said to be sedative, , hypnotic, analgesic and contain anti-inflammatory and muscle relaxant properties. According to marijuana expert Ethan Russo, myrcene contributes heavily to the couch-lock “stoned” effect. D-limonene boils at 351 ºF and has hints of citrus fruits, rosemary, juniper and peppermint, is anti-bacterial, repulsive to predators and is found in many kinds of fruits and flowers. It can also be anti-carcinogenic and an anti-depressant and has been used to dissolve gallstones. The sedative 945-terpineol boils at only 423-424 ºF and has hints of lilac, citrus, apple blossoms and lime. The flavonoid apigenin boils at 352 ºF and is believed to have anxiolytic and anti-inflammatory properties. This short list of terpenes and their characteristics already illustrates that we do not have to only look at dozens of cannabinoids, but also at a whole variety of terpenes as well as flavonoids and their distinctive boiling points if we want to understand the distinctive highs coming from various strains vaporized at a certain temperature. Let me add that for aficionados, there is another good reason to prefer a vaporizer to burning cannabis in a joint or in a device like a bong. Vaporizers do not burn terpenes and can therefore bring out the full aromatic bouquet of a strain. You will not only get a high different from that of burned cannabis because you get a more favorable cannabinoid/terpene/flavonoid profile without the toxins. Your high will be positively affected by a distinctive sensual aromatic experience. When you drink a 30-year-old Port Ellen whiskey, your consciousness is not only affected by the alcohol as by a psychoactive substance. The complex aromatic experience opens up your mind, makes you sensitive and allows you to go on a sensuous trip. 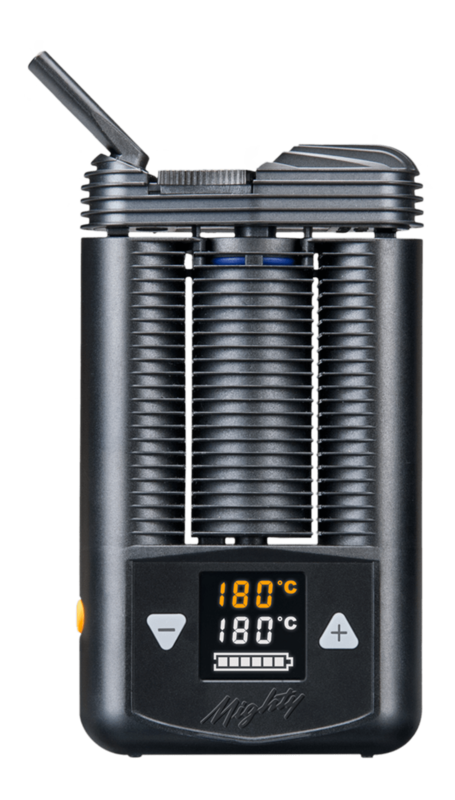 Vaporizers users can bring more of this aficionado component to their consumption, especially when vaporizing marijuana at lower temperatures. Also, as we have seen, there is a connection between the smell that comes from the terpenes (cannabinoids are odorless) and some medical and psychoactive characteristics of the high; for some patients and others, the odor and taste of cannabis vapor coming from a vaporizer will help to identify their preferred strains and to check if the plant material they obtain has been produced, stored and cured correctly. Many experimental reports from users of vaporizers with an inferior heating apparatus have to be considered with care. While most vaporizers may still deliver a much cleaner high than one from a joint or bong, users of many inferior vaporizers do not get the precision temperature control to really let them join a serious discussion about the differences of a high coming from a certain strain produced with a vaporizer at 320 ºF or 356 ºF. And there are other factors we have to bear in mind when evaluating personal reports about the vaporizer high from users. Many users have smoked joints for a long time before using vaporizers, usually made of low-quality black market cannabis mixed with inferior cigarette tobacco. They tend to equate the ‘real’ high with the resulting effects of burned, inferior cannabis and bad tobacco – which are usually more disruptive, disorienting, sedating and often messing with their short-term memory. Some users are initially disappointed by the vaporizer high from pure cannabis because they miss a certain nicotine kick from the tobacco, or because they actually have been seeking out a ‘mind-crippling’- effect which helps with sedation and forgetting the trials and tribulations of their day. I have talked to many users who told me they seek a state of mind in which they simply get a body stone relaxation coupled with a high that heavily interferes with their short-term memory, so that they can get relief from their daily stresses. A clearer high coming from a precision vaporizer set to a lower temperature does not give them what they want. Many of those users do not even recognize the altered state of mind coming from a vaporizer as a real high, because they are not used to being so cognitively functional. 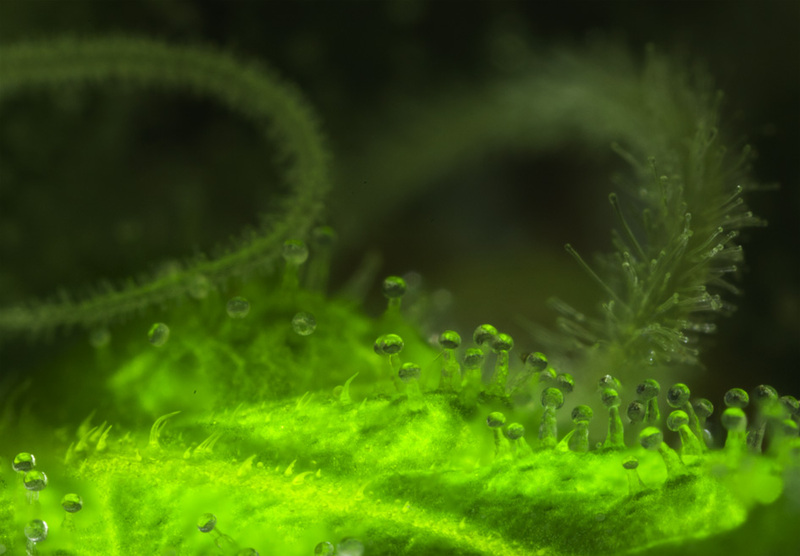 When we look at discussions about the vaporizer high in various internet forums we also need to keep in mind that many users receive their cannabis from the black market and, therefore, often do not know exactly what strain they are buying, under which conditions it has been produced and stored and what the cannabinoid profile of their cannabis really is. Briefly then, many of the anecdotal reports about vaporizer highs and generalizations about how vaporizers affects the high have to be considered with care. Many opinions are based on consumers using bad quality marijuana with vaporizers that do not really allow for a precise temperature control, and many user reports are influenced by their bias from smoking marijuana. This also explains the many contradictory reports from users. When we look at the various cannabinoids and their boiling points, we can certainly make some rough predictions about the systematic influences of a vaporizer on the character of a high. For instance, temperatures higher than 365 ºF will produce more CBN, which is known to produce a more sedative, confusing effect on consciousness. A vaporizer high will always strongly depend not just on a certain strain and its cannabinoid and terpene profile, but also on the exact temperature at which it is used. Only precision vaporizers like the Volcano in the hands of skilled users will help us to answer many questions and to actually come up with new questions about how a vaporizer can affect a high. Using precision vaporizers to explore the differences and nuances in a marijuana high may sound to many like a somewhat futile excercise to answer nerdy questions of a small gropu of geeky aficionados. But make no mistake: answering these questions will help millions of people to make better use of the medical potential of marijuana; and millions will find out how to use marijuana in a more meaningful and inspiring way. Countless people around the world already use the marijuana high to better remember long gone events, to work creatively, to find new patterns in music or art, to better appreciate nature, to get in touch with their feelings and have a better introspective access to themselves, to enhance their empathic understanding of others, to make love, to generate great and live changing insights, or to personally grow. Many of those users are on a voyage, exploring a new world and the use of marijuana can be crucially important for their lives – and the lives of everybody around them. They and their societies will profit greatly from the advance in our understanding as to how the various cannabinoids, terpenes and flavonoids affect a high. Precision vaporizers are magnificent tools for researching the psychoactive and bodily properties of the various cannabinoids, terpenes and flavonoids, and we are certainly only at the very beginning when it comes to understanding these substances and their full inspirational and medical potential. Just as importantly, the effects of cannabinoids, terpenes and flavonoids are already known to be synergetistic, which means that we cannot simply study the effects of them individually as isolated chemical compounds. Vaporizers with their temperature control can help us to study the compounds in various natural strains of marijuana as they work synergistically on our mind and body. To sum up, precision vaporizers offer new dimensions in exploring the mind-altering potential of cannabis. A marijuana high is the result of the effect of dozens of cannabinoids, terpenes and flavonoids, which all have different boiling points and therefore vaporize at different temperatures. Many of the generalizations about vaporizer highs that can be found in forums are wrong and contradictory; others, such as the claim that the vaporizer high offers a much “clearer”, less confusing and less sedated experience make sense not only regarding the many users who endorse this view, but also on the basis of what we know so far about the psychoactive properties of some cannabinoids, terpenes and their various boiling points. More and more users are picking up the habit of using precision vaporizers and so, hopefully, our knowledge about the psychoactive and medical role of the various cannabinoids, terpenes and flavonoids will expand. There is already much knowledge concerning these questions coming from the medical dispensaries in the U.S. and their patients. I hope that many inspirational users will soon be in a better position to access a much higher quality of marijuana and to enjoy its effects in precision vaporizers. Their feedback and that of medical marijuana users to medical and other professionals will be crucial for the future research of the potential of marijuana. Vaporizers will play a fundamental role in this journey, a journey that will essentially help millions of marijuana users in the future. The Australian Koala bears know their favorite plants. They eat only select types of eucalyptus. Some aromatic oils of the eucalyptus digest from their stomachs through their skins to protect them against ectoparasites, while other oils “decrease blood pressure, lower body temperatures, and relax their muscles.” Usually, koalas eat the mature leaves for these purposes in hot climates, but in cold climates they eat younger leaves containing phellandrene, which increases body temperature. Koalas seem to instinctively know their eucalyptus really well, and many other animals have a comparably intelligent use of the plants they consume. It is time for us to follow their example and to get to know our cannabis a little better. Vogeler, Josh (2014), “Terpenes and Terpenoids in Cannabis”, http://terpenes.weebly.com. Compare Grinspoon, Lester (ed.) (2014), marijuana-uses.com. Siegel, Ronald K. (1989/2005), The Universal Drive for Mind Altering Substances, Park Street Press, Rochester, Vermont, p. 43. Thanks Joe, can’t wait to see your book!